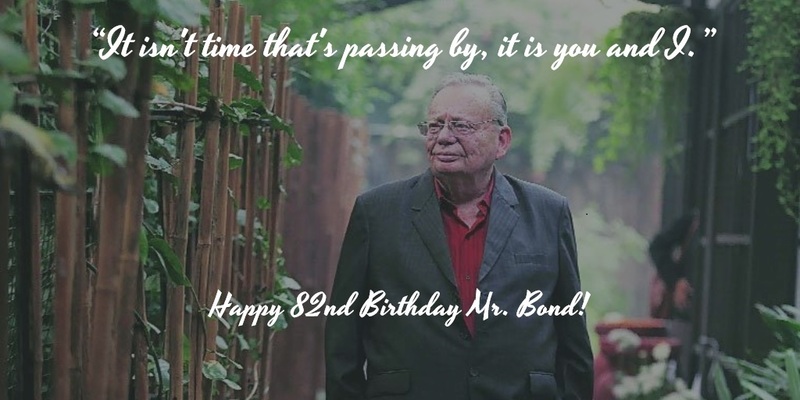 It’s Ruskin Bond’s birthday today – Happy Birthday, Mr.Bond! Think misty mountains. Think gentle small hillside towns. Think goats with tinkling bells around their necks. Think a delicious hint of danger from the natural world – leopards, for instance, after dark, or a ghostly figure half-glimpsed at dusk. Think Ruskin Bond, the grandfather that every Indian kid adopted as their very own. And guess what – today, May 19th, is Ruskin Bond’s birthday! 82 years young and going strong – why, we at IndiaBookStore have been seeing a new Ruskin Bond title on the online bookstands every couple of months! – Ruskin Bond remains an eternal favourite. It must be something to do with the man himself, the impression he leaves behind when we read him – a simple, nature-loving, modest, friendly man of generous spirit. So when Rupa Publications offered to give 3 of our readers a wonderful book bundle of 5 Ruskin Bond books to celebrate Ruskin Bond’s birthday, we were thrilled (and, admittedly, envious!) It didn’t need the added sweetener that one of the books would be autographed by The Bond himself! Go check it out for yourselves: The Ruskin Bond 5 Book Bundle Giveaway. Best of luck! Plus, if you’re a die-hard Bond fan, you can check out his author profile on Vivilio, which contains books he has authored as well as books he has read and recommended in his interviews and writings. Had the honour of meeting him in person 2 years ago, when I was vacationing in Mussorie. There was a huge crowd waiting to meet him, but he was so humble and patiently meeting everyone! That sounds just like him… humble and patient. If I ever went to Mussoorie, meeting him would be top of my to-do list!